Open to all singers, male and female, under the age of 23 who are looking for a great weekend of a cappella singing and performing under the direction of some of the best in the business! Music will include both contemporary favorites and barbershop! 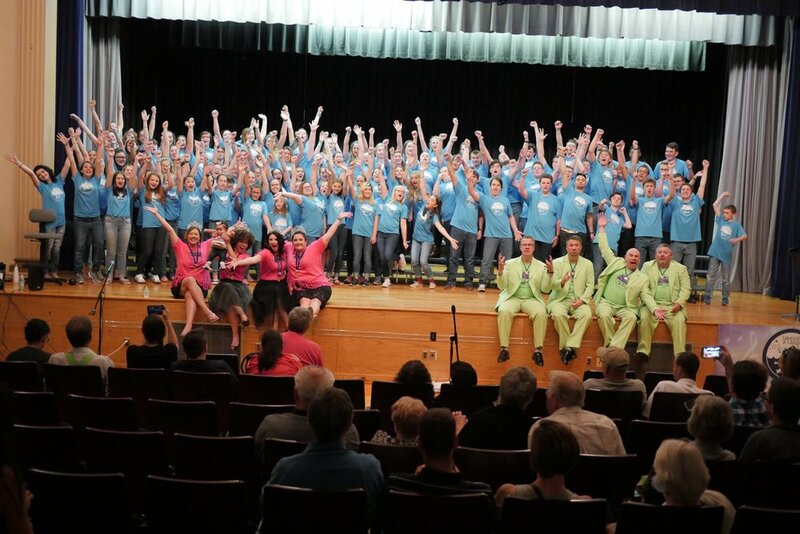 Spend the weekend on the lake at Cazenovia College with other young singers from around the country who love a cappella music and you'll learn from some of the best coaches and clinicians in the world! Join our listserv by emailing lakesideacappella@gmail.com or our Facebook group to stay up-to-date on all the latest for next year's camp! Lakeside A cappella Camp is a joint collaboration of Sweet Adelines, International, Harmony, Inc. and the Barbershop Harmony Society. This event is made possible by the Barbershop Harmony Society, underwritten in part by Harmony Foundation International and its generous donors. Follow us on Facebook for all the latest! All Rights Reserved. Photo credit to Seth Bocknek and Sky Harris. Logo design by Sagan Harris.